This 8-night luxury safari offers guests the opportunity to explore the highlights of Zimbabwe and includes the world renowned Hwange National Park, the beautiful Mana Pools National Park, as well as the magnificent Victoria Falls. 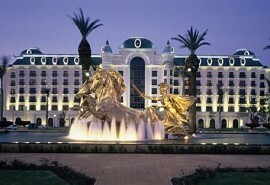 Guests will experience the thrill of flying over these breathtaking wilderness areas via light air transfer. Activities available range from the adrenaline pumping bungee jumping and white water rafting in Victoria Falls to open 4x4 game drives with experienced game rangers as well as guided nature walks, boating, canoe safaris & fishing. Wildlife viewing is at its best in Hwange, home to large herds of elephant. Mana Pools offers game viewing from a different angle by taking guests on a canoe safari. On arrival at Victoria Falls airport, guests will be met by a representative and road transferred to Ilala Lodge in Victoria Falls where they will spend 2 nights. Activities can be booked at an additional cost & include: a Tour of Victoria Falls, bungee jumping, helicopter trips over the Falls, elephant-back safaris, river rafting & much more. After breakfast and morning activities, guests are transferred by road to Somalisa Camp in Hwange National Park where they will spend 3 nights. Activities at Somalisa Camp include open 4x4 game drives with a qualified ranger & tracker as well as guided nature walks. 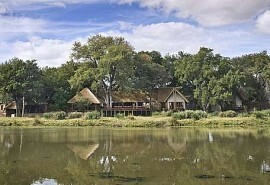 Somalisa Camp is situated in the heart of the Hwange National Park which is home to large herds of elephant and buffalo. 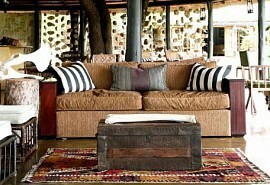 The camp is remote and offers guests an exclusive safari experience. After breakfast and morning activities, guests are transferred by light aircraft to Kanga Camp in Mana Pools National Park where they will spend 3 nights. Activities at Kanga Camp mainly focus on open 4x4 game drives & guided bush walks. Kanga Camp is not only a great camp for a Big 5 safari, but is also a birding paradise. The Kanga Pan itself isa hub for wildlife and is often the only water source available throughout the year, making it a great area to explore on foot. 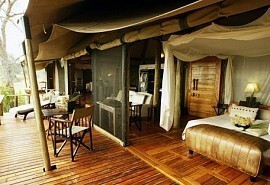 The tented camp has outdoor showers overlooking the waterhole.